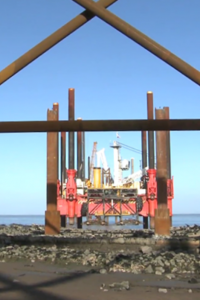 ABI Equipment Ltd is the UK's leading supplier of specialist piling equipment for sale and hire. Located in Northampton, ABI Equipment Ltd is a subsiduary of ABI GmbH and we offer a range of machinery and equipment from the ABI, Delmag and Banut brands. 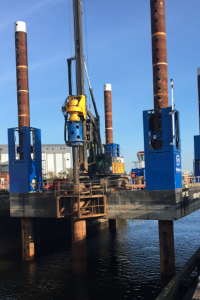 From the build of customised drilling and piling rigs and the supply of rig and excavator attachments, to the hire of operated machinery and the professional service and support on offer, we pride ourselves on our technical knowledge and expertise. Read more about ABI Equipment Ltd here. 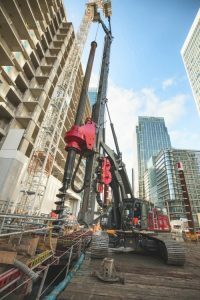 ABI are best known for their innovative Mobilram telescopic rigs, their machinery and equipment is highly versatile and can be used for a wide range of groundwork applications. Delmag are best known as the top-selling brand for diesel hammers, and also supply drilling rigs that are powerful, robust and reliable making for very productive machinery. Banut supply fixed leader mast rigs that are strong and stable, with long useable length and yet compact for transport; along with their simple but rugged imapct hammers. 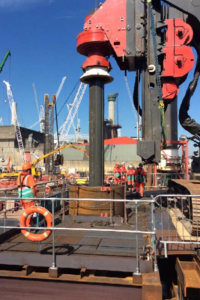 We have compiled a series of Case Study job reports from a range projects using our equipment to give you practical examples of the type of work we become involved with. These are some of our most recent ones, or you can visit our Case Studies pages to view them all.